Stacey Swanson, Ph.D. is a child psychologist. She was trying to figure out Bart's problems. She gave Bart video games to play and did fun things that he enjoyed to get to the bottom of things. When the money to pay Dr. Swanson ran out, Bart became upset until Marge paid her for one more session. 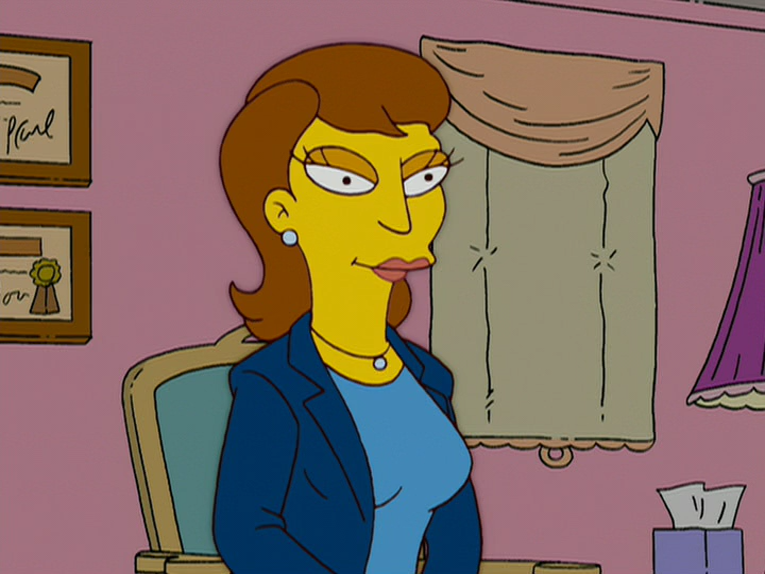 This last session cured Bart and Dr. Swanson became upset and another psychologist thought that Bart may be replacing her son, who was killed by Dark Stanley. Modified on April 22, 2017, at 17:49.